Drop by often - for the most current information, special announcements and a few words from Erick himself. • It's now easier than ever to purchase Erick's CDs and Books thanks to recent upgrades by Erick's friends at Volumes Publishing! School is about to start!!! 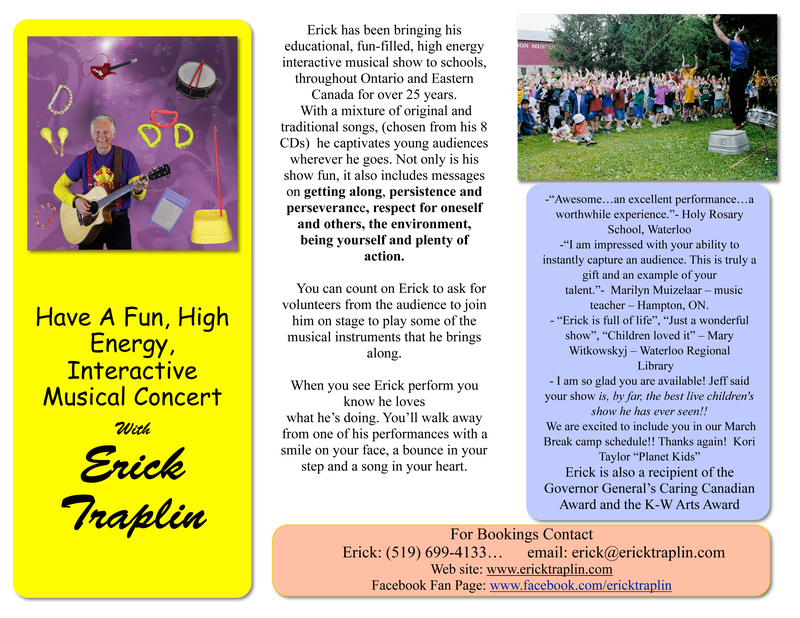 Teachers, now is the time to book your school concert. Here's the link to my flyer. my shows and on line at Volumes Publishing! ...seen an article about Erick in your local paper? Contact Erick and let him know where and when you saw it!